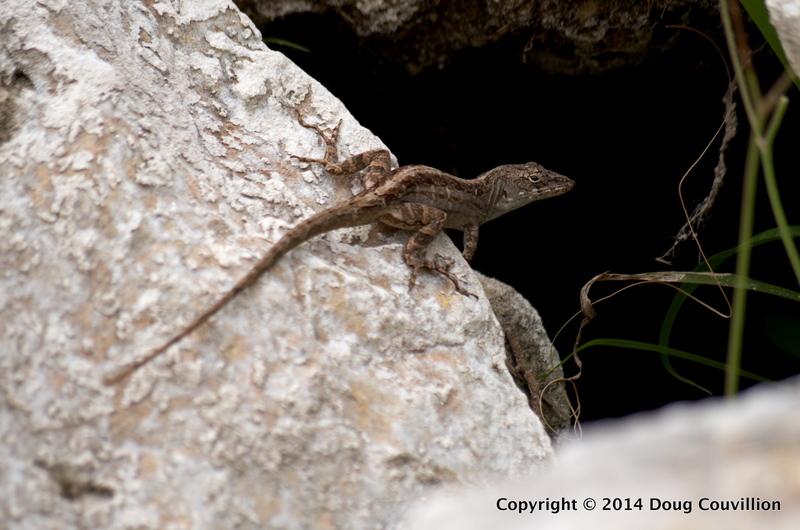 This brown anole was basking in the sun on the rocks. There was a large gap in the rocks, a cave relative to the size of the lizard. It never strayed too far from the safety of its hideout there.